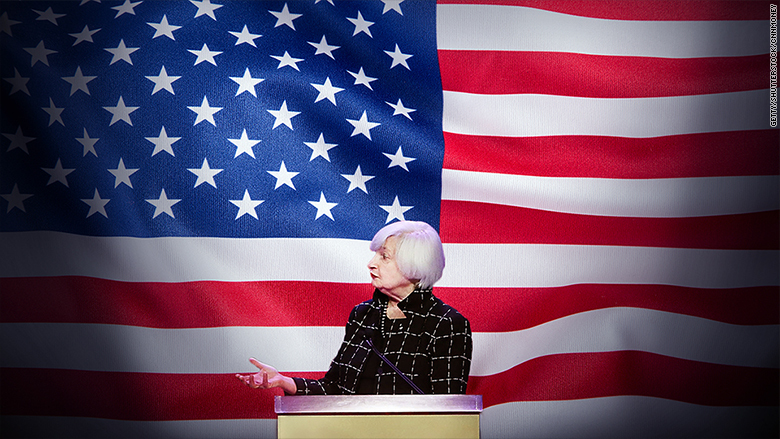 Will the Fed actually raise rates before the election? The probability of the Federal Reserve hiking rates today is 0%. So what about the rest of the year? Fed Chair Janet Yellen keeps telling the world that any further rate hikes will be "data dependent." Watch the numbers on wages, jobs, inflation, financial markets and China. The rosier it looks, the more likely the Fed will raise rates. But there's one big factor this year that the Fed rarely mentions: the U.S. presidential election. The Fed has a lot of power over the economy and stock markets. How the economy fares could sway the election outcome. Former President George H. W. Bush pins his 1992 election loss on former Fed chair Alan Greenspan. Raising rates too soon can also rattle the stock markets. It can also crush consumer and business confidence. Any economic pullback would likely hurt a Democrat's chances to win the White House. That's the reason why Donald Trump has blasted the Fed for manipulating interest rates to help Obama. 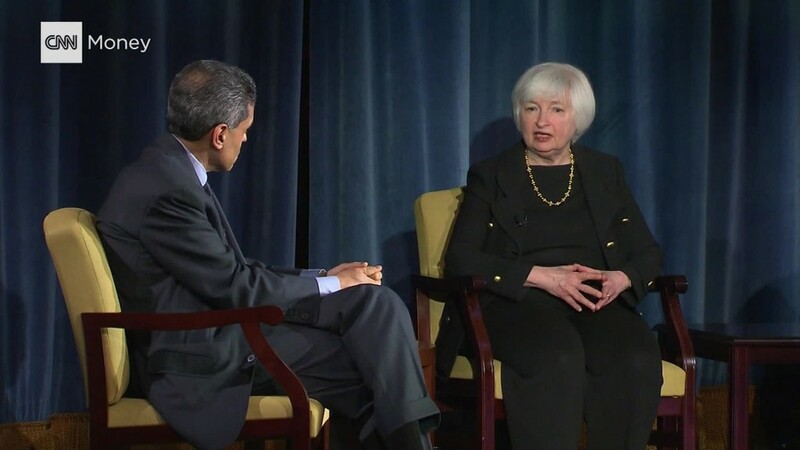 Yellen bristles at any suggestion of such impropriety. "I have never seen political views in any way influence the policy judgments that are made inside the Federal Reserve," Yellen said in March when asked about it. But the question remains: would the Yellen Fed, which is already cautious, really pull the trigger to raise rates before Election Day? After April, five Fed meetings remain this year: June 15, July 27, September 21, November 2 and December 14. Four of those occur before voters go to the polls. Beyond what Trump says, a lot of eyebrows were raised when Lael Brainard, a member of the Fed's committee that sets interest rates, donated $2,700 to Hillary Clinton's presidential campaign. The Fed didn't comment for this story. Trump, in an interview with The Hill in the fall, accused Yellen of keeping rates low because "Obama doesn't want to have a recession-slash-depression during his administration." Experts who have watched the Fed for years (or served on it) say Trump is off on this one. "There's no definitive evidence that suggests the Fed is putting its thumb on the scale" to help any particular party or candidate, says Sarah Binder, a senior fellow at the Brookings Institution and political science professor at George Washington University. But President George H. W. Bush disagrees. "I think that if the interest rates had been lowered more dramatically that I would have been re-elected president because the [economic] recovery that we were in would have been more visible," Bush told The Wall Street Journal. There are even more questions around Richard Nixon. White House transcripts reveal heated conversations between Nixon and then Fed chair Arthur Burns. Nixon pressured Burns to pump more money into the economy, which the Fed did heading into the 1972 election. The Fed has raised and lowered rates many times during election years. There are always economic reasons for the actions, making it hard to argue political bias was a decisive factor. The influence of Election 2016 on the Fed could be more subtle. Pressure to hold rates low? "I wonder if there's a subconscious bias," says Tim Kane, an economist at the Hoover Institution. He notes that the economic talk on the 2016 campaign trail from both parties has been overwhelmingly negative. It creates pressure on the Fed to keep rates low to boost the economy. The current key interest rate bandwidth is at a mere 0.25% to 0.5%. Heading into 2016, the Fed implied it would raise rates four times this year. That's already been scaled back to just two. The Fed has long defended its independence from politics. The building may be located on Constitution Avenue in Washington D.C., just a few blocks from the White House and Congress, but the Fed argues it acts based on economic data, not polling data. Bloomberg first broke the news of Fed governor Brainard's contribution to the Clinton campaign. She has given the highest donation possible for an individual. "When I was appointed [to the Fed], I chose not to participate in politics in any way," says Mark Olson, who served on the Fed's policy setting committee from 2001 to 2006, and is now chair of Treliant Risk Advisors. What Brainard did was legal and her political leanings aren't a surprise since she worked in the Obama administration. But Olson, a Republican, says the expectation is for Fed members not to do anything to create a perception of bias, especially political bias. If caution and perception are the guiding principles of the Yellen Fed, it could be difficult for the Fed to act too close to the election. That raises the stakes even more for a June move.